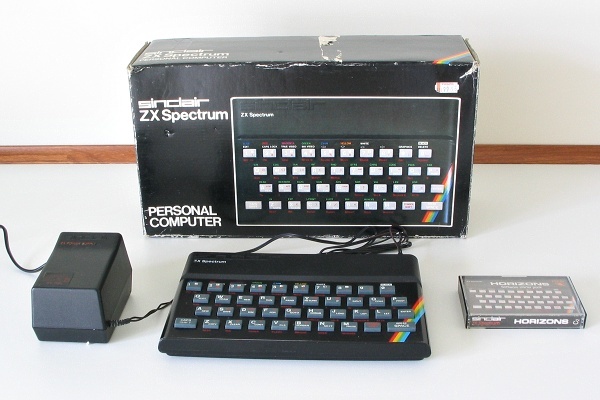 This is the original rubber-keyed Spectrum. 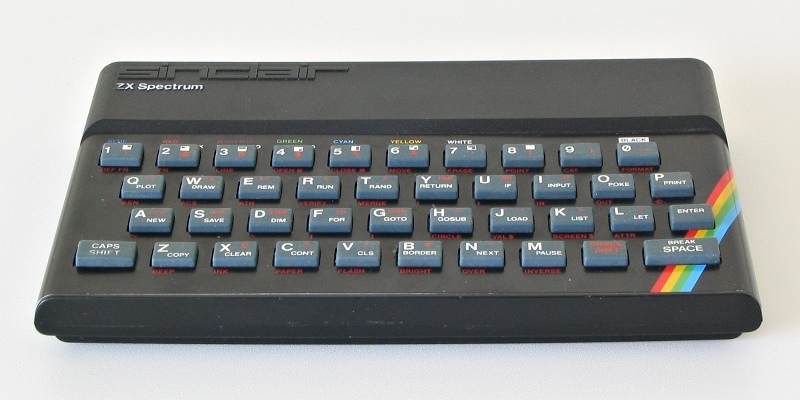 Actually not quite the original - this is an issue 2 machine as indicated by the dark blue-grey colour of the keys. This machine was originally bought as a 16K model, but later had the Fox Electronics memory upgrade fitted to bring it up to 48K spec. The picture below shows the machine together with its box, the external PSU and the "Horizons" demo tape. If you look closely the price sticker can be seen on the box: £99.95 from WH Smiths.